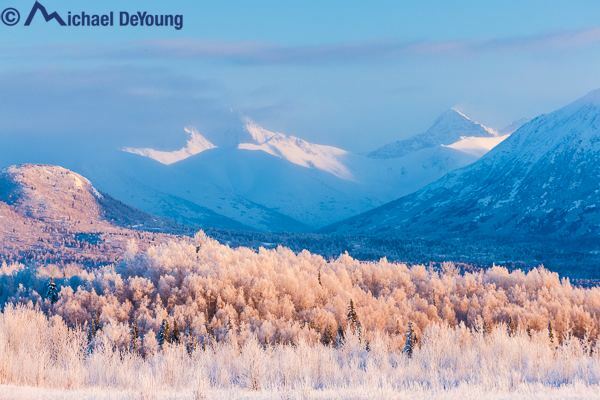 Anchorage (officially called the Municipality of Anchorage) (Dena'ina Athabascan: Dgheyaytnu) is a unified home rule municipality in the U.S. state of Alaska. With an estimated 298,192 residents in 2016, it is Alaska's most populous city and contains more than 40 percent of the state's total population; among the 50 states, only New York has a higher percentage of residents who live in its most populous city. All together, the Anchorage metropolitan area, which combines Anchorage with the neighboring Matanuska-Susitna Borough, had a population of 401,635 in 2016. 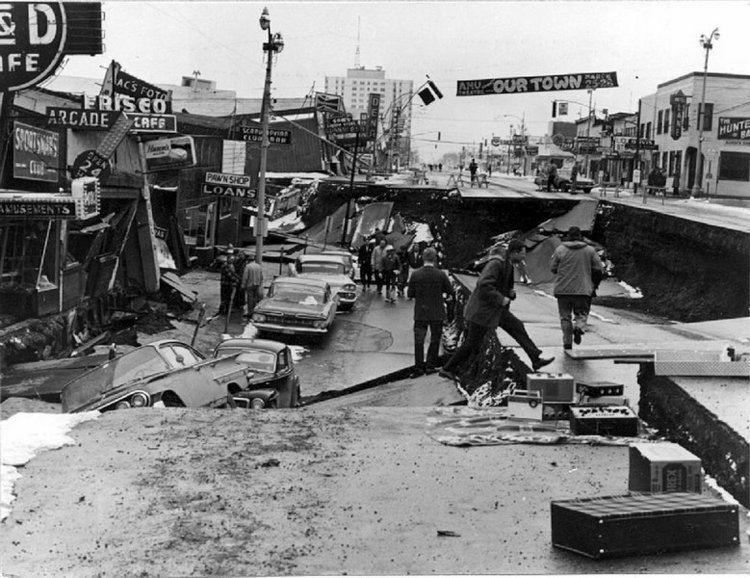 On March 27, 1964 the magnitude 9.2 Good Friday earthquake hit Anchorage, killing 115 people and causing $311 million ($2.4 billion current value) in damage. The earth-shaking event lasted nearly five minutes; most structures that failed remained intact for the first few minutes, then failed with repeated flexing. It was the world's second-largest earthquake in recorded history. Rebuilding dominated the remainder of the 1960s. In 1968 ARCO discovered oil in Prudhoe Bay on the Alaska North Slope, and the resulting oil boom spurred further growth in Anchorage. In 1975, the City of Anchorage and the Greater Anchorage Area Borough (which includes Eagle River, Girdwood, Glen Alps, and several other communities) merged into the geographically larger Municipality of Anchorage The city continued to grow in the 1980s, and capital projects and an aggressive beautification campaign took place. 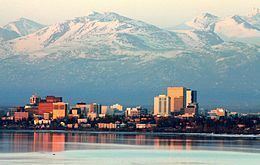 During this time Anchorage became known as the "Green Apple of the Arctic". While Juneau is the official state capital of Alaska, there are actually more state employees who reside in the Anchorage area. Approximately 6,800 state employees work in Anchorage compared to about 3,800 in Juneau. The State of Alaska purchased the Bank of America Center (which it renamed the Robert B. Atwood Building) to house most of its offices, after several decades of leasing space in the McKay Building (now the McKinley Tower) and later the Frontier Building. Four small airlines, Alaska Central Express, Era Aviation, Hageland Aviation Services, and PenAir, are headquartered in Anchorage. Alaska Airlines, at one point headquartered in Anchorage, has major offices and facilities at TSAIA, including the offices of the Alaska Airlines Foundation. Prior to their respective dissolutions, airlines MarkAir, Reeve Aleutian Airways and Wien Air Alaska were also headquartered in Anchorage. The Reeve Building, at the corner of West Sixth Avenue and D Street, was spared the wrecking ball when the city block it sits on was cleared to make way for the Anchorage 5th Avenue Mall, and was incorporated into the mall's structure. In 2013, Forbes named Anchorage among its list of Best Places for Business and Careers. Anchorage does not levy a sales tax. It does, however, charge a 12% bed tax on hotel stays and an 8% tax on car rentals. Since about 2000, in response to strong revenue and occupancy rates, major hotel developers from the Lower 48 have been building new hotels along C Street from International Airport Road to just north of Tudor Road, with two more to open in 2017, making this half-mile stretch of C Street a new "hotel row". 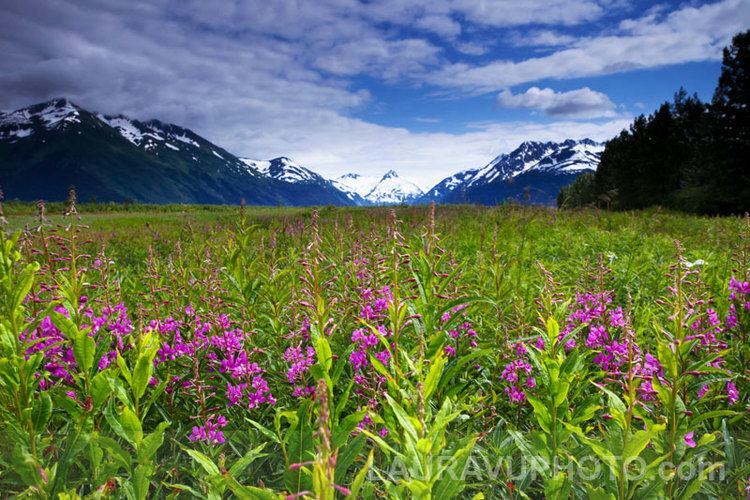 From Anchorage people can easily head south to popular fishing locations on the Kenai Peninsula or north to locations such as Denali National Park and Fairbanks. National attention is focused on Anchorage on the first Saturday of each March, when the Iditarod Trail Sled Dog Race kicks off with its ceremonial start downtown on Fourth Avenue. Anchorage is also home to the Fur Rendezvous Open World Championship Sled Dog Races, a three-day dog sled sprint event consisting of 3 timed races of 25.5 miles (41.0 km) each. Held each February, the event is part of the annual Fur Rendezvous, a winter sports carnival. Anchorage currently has no professional sports teams. Anchorage is governed by an elected mayor and 11-member assembly, with the assistance of a city manager. These positions are non-partisan (as is the case with all municipal elected offices in Alaska), and thus no candidates officially run under any party banner. All eleven members are elected from districts known as sections. Five of the sections elect two members from designated seats, while the remaining section elects one member. Prior to the 1980 United States Census, the single-member section was the one centered around the northern Anchorage communities of Chugiak and Eagle River. 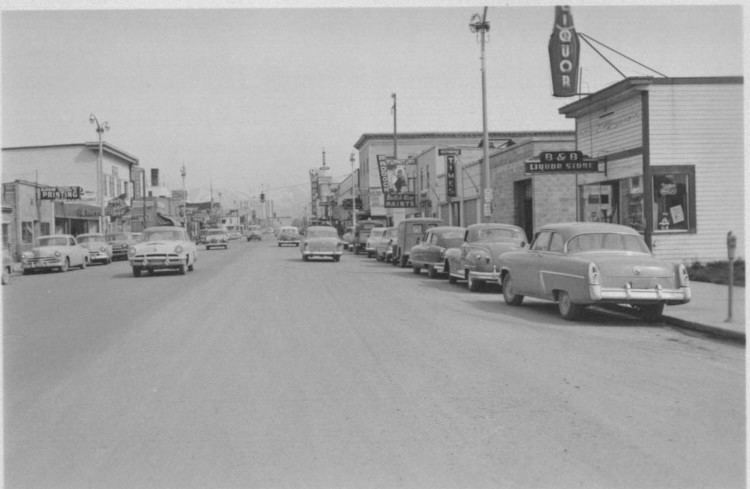 Since that census, the area encompassing Downtown Anchorage and surrounding neighborhoods has served as the city's single-member section. The mayor (along with members of the school board) is elected in a citywide vote. In practice, however, the party affiliation and political ideology of major candidates are usually well known, and is highlighted by local media for the purposes of framing debate. The city's current mayor is Ethan Berkowitz, a registered Democrat. Along with 7 sister cities in the SCI program, Anchorage has a cultural exchange program with the former Yugoslavia nation of Montenegro. The Anchorage Assembly gained national publicity following their 2017 municipal election, when two openly gay candidates (Christopher Constant and Felix Rivera) were successfully elected into the eleven-member council — becoming the first openly gay candidates ever elected into Anchorage public office. Anchorage-Eagle River sends 16 representatives (currently 9 Republicans and 7 Democrats) to the 40-member Alaska House of Representatives and eight senators (currently 5 Republicans and 3 Democrats) to the 20-member Senate. When seats from the neighboring Mat-Su Borough are added, more than half of the Alaska state legislature comes from the Anchorage metropolitan area. This is often used as an argument in favor of moving the state capital from Juneau to a location in the Anchorage area. With a reported strength of 383 sworn officers, the Anchorage Police Department is the largest police department in the state, serving an area of 159 square miles with a population of 300,950. The Fire & EMS Operations Division of the Anchorage Fire Department (AFD) includes thirteen fire stations with over 300 personnel covering three rotating 24-hour shifts. Additionally, there are volunteer fire departments in Girdwood and Chugiak and fire departments on Elmendorf Air Force Base and Fort Richardson, as well as the Airport Police and Fire Department. Anchorage's leading newspaper is the Alaska Dispatch News, a citywide daily newspaper. Other newspapers include the Alaska Star, serving primarily Chugiak and Eagle River, the Anchorage Press, a free weekly covering mainly cultural topics, and The Northern Light, the student newspaper of the University of Alaska Anchorage. Anchorage's major network television affiliates are KTUU 2 (NBC), KTBY 4 (Fox), KYES 5 (MyNetworkTV), KAKM 7 (PBS), KTVA 11 (CBS), KYUR 13 (ABC/CW), and KDMD 33 (Ion/Telemundo). Anchorage is one hour behind the Pacific Time Zone, and receives the same network feed as the West Coast. Weekday primetime runs from 7 to 10 pm. Effectively, programs are viewed at the same local hour as those in the Central Time Zone. The city's only cable television provider is General Communication, Inc. (GCI). However, Dish Network and DirecTV offer satellite television service in Anchorage and the surrounding area. Alaska Regional Hospital on DeBarr Road opened in 1958 as Anchorage Presbyterian Hospital, located downtown at 825 L Street. This predecessor to Alaska Regional was a joint venture between local physicians and the Presbyterian Church. In 1976 the hospital moved to its present location on DeBarr Road, and is now a 254-bed licensed and accredited facility. Alaska Regional has expanded services and in 1994, Alaska Regional joined with HCA, one of the nation's largest healthcare providers.